Ensuring that your Volkswagen takes and passes a full MOT test every 12 months is a legal requirement in the UK. Annual testing is just one of the comprehensive aftersales services that we offer at Jardine, to continue supporting motorists throughout their ownership. 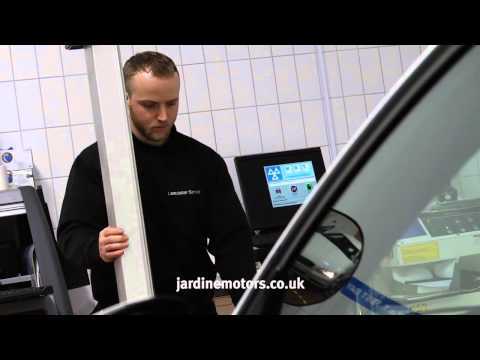 Every technician at each Jardine Volkswagen service centre is a specialist in their field and has been extensively trained by the manufacturer. We perform MOT testing with the same exacting, careful methods used for all servicing and maintenance. If any repairs or adjustments are required for your model, these can usually be completed on site using genuine Volkswagen components. On top of these excellent benefits, visiting Jardine guarantees you the support of an expert at the standard price for an MOT test – there are no hidden charges or levies. When your next MOT is approaching, please contact your closest Jardine Volkswagen dealership.